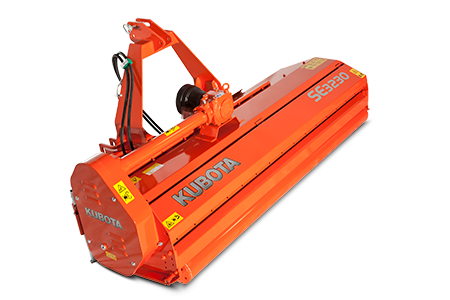 The Kubota SE3000 series is a compact and heavy duty machine for moderately demanding jobs in soft and top fruit orchards, vineyards and light undergrowth. 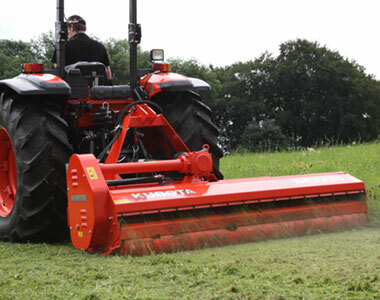 It is equally perfect for tidying pasture and chopping straw and stubble. 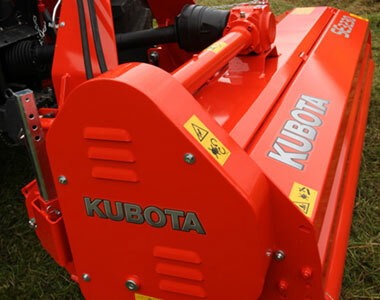 The Kubota 3000 series is suitable for tractors up to 80 hp. It is available in 1.55m; 1.85m; 2.00m; 2.30m and 2.50m working width. Offset as standard (500mm) increases the versatility of this chopper and caters for safer working conditions. In addition the standard roller and the skids support the chopper in keeping a constant working depth. Highest rotor speeds (2243rpm) in combination with the counterknife and the double skin, guarantee an excellent shredding effect with minimal power requirement. Flail or Stone blade available through Spare Parts as an option. Sideways adjustment to manoeuvre around or under trees and bushes. For tractors up to 80 hp. Hydaraulic side shoft available as an option. Compact, low profiled and rounded shapes but studied for heavy duty applications. Robust headstock design taken from choppers of higher class for a ”family look”. 3 point linkage close to the tractor = minimun lift power required and maximun field manoeuvrability. 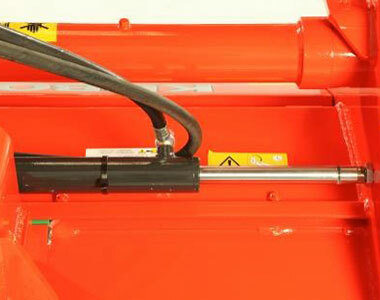 Manual side shift or optional hydraulically controlled sliding linkage. Nylon sliding guide rail for easy and fine adjustment; no lubrication is needed. 500 mm offset = versatile in all use (orchards, vineyards, road and field edges). 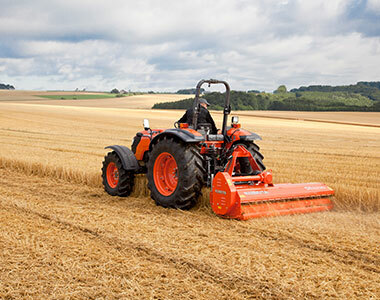 Gearbox up to 80hp – PTO speed drive 540rpm. 5 V belts with automatic tensioner spring loaded always ensure stable rotor transmission. Lateral drive protected by robust but smooth cover = high protection and maximum respect of orchards vegetation.